Those of you who follow me on Instagram (@thedotcouture) know how much I ADORE Holiday-themed manis. Especially Halloween. I’m fairly certain Halloween was made with me in mind. 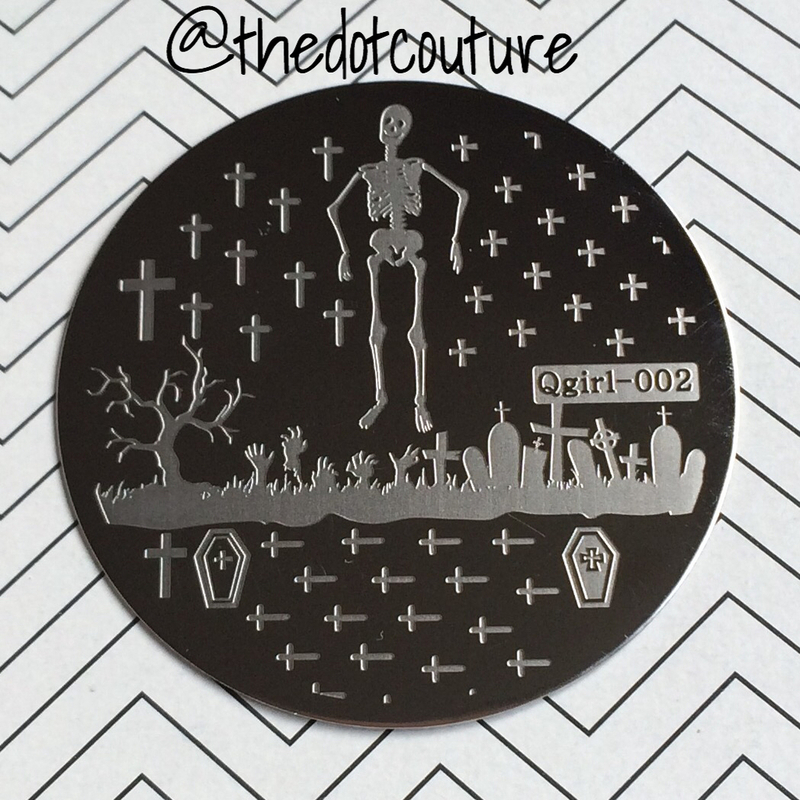 So when I was given the chance to review some plates from http://www.bornprettystore.com/, and one of those plates was a Halloween-themed plate, I was ecstatic! This is one of their circular plates and retails for $2.99 USD ($3.60 for us Canadians) on their site HERE (use my code JDGK31 for 10% off). The plate has a nice selection of Halloween-themed images. 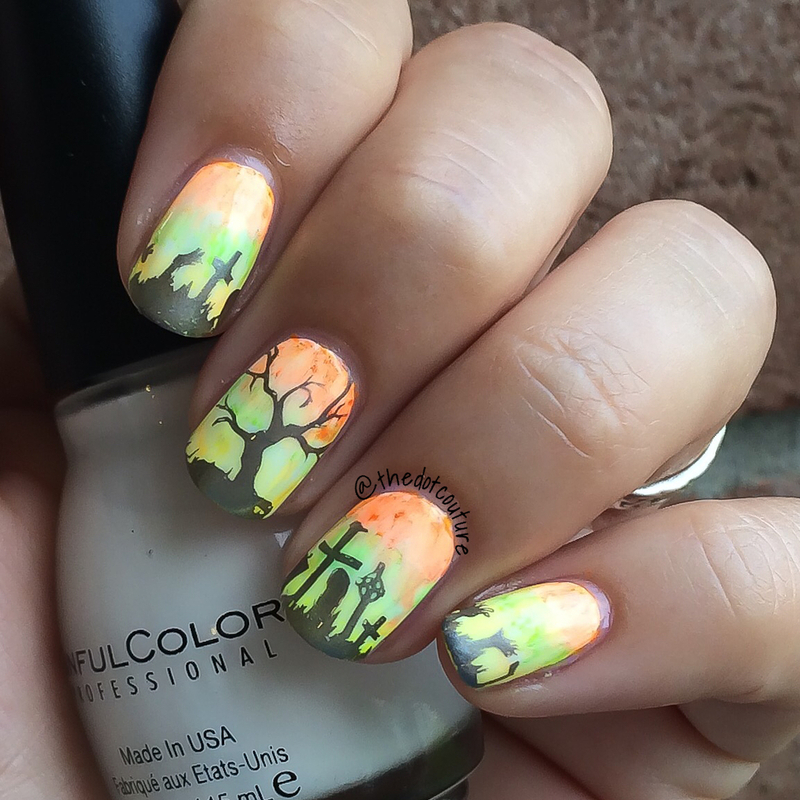 I knew I wanted to do a summer-type Halloween mani with the ground line image. I used neon Sharpies to create a watercolor effect as the base. It even glows under black light, you can check out my Instagram for a shot of that! Instead of stamping with the typical Halloween black, I used M Polish 5-free stamping polish in Iron to soften the look. The plate is etched beautifully and I had no troubles picking up the image. I am in love with the tree image on my middle nail – I would definitely use that image for every season! I used the OPI Color Paints as a base for my ring and pinky finger nails (you can read my blog post about them) and stamped over them using plate Qgirl-032 and a black stamping polish. 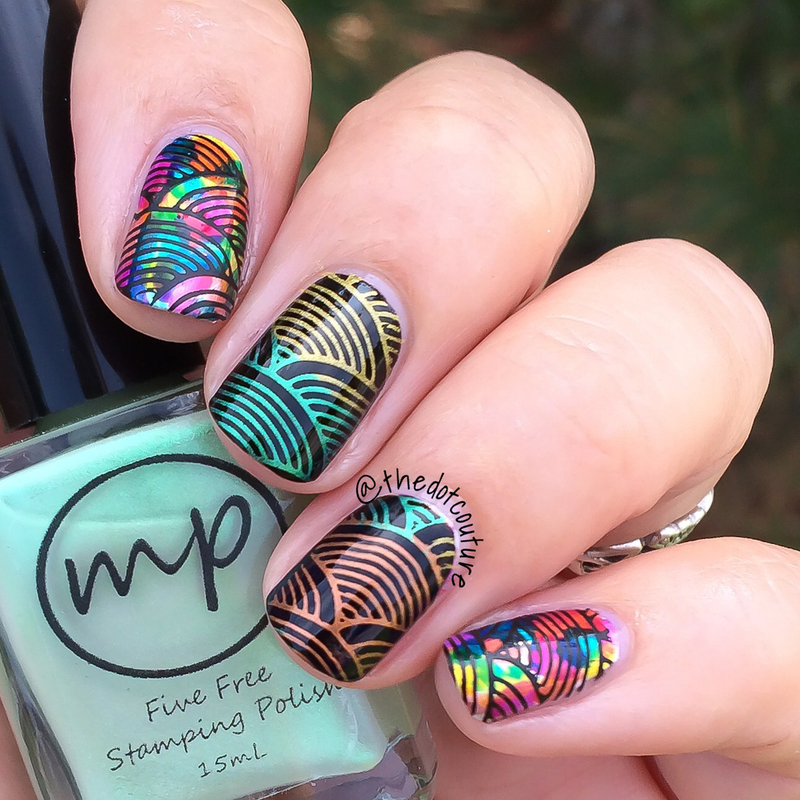 For the middle and ring finger nails I stamped the same image over black using M Polish in Hottie, Bells of Ireland, and Scouting the Beach. 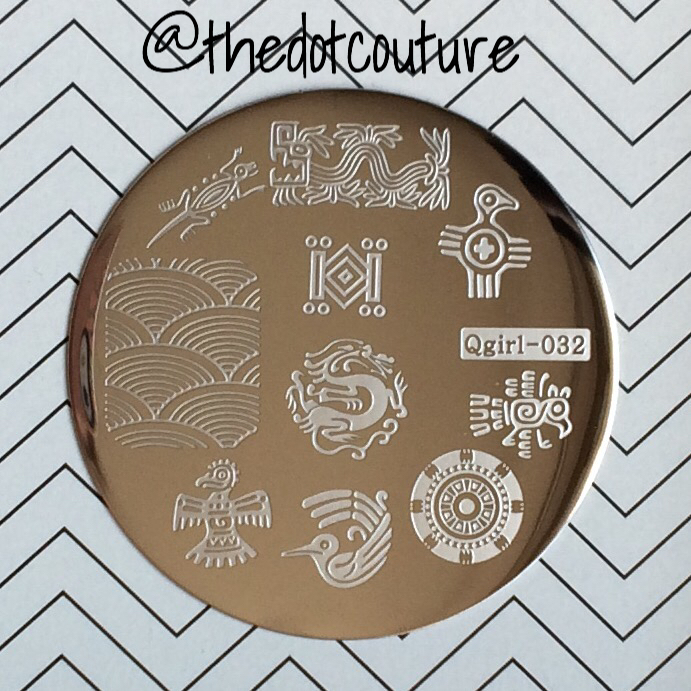 This plate also retails for $2.99 USD ($3.60 CAD) and can be purchased HERE (use code JDGK31 for 10% off all non-sale items). Both plates produced nice crisp images for me using a variety of stampers and polish brands. They are very affordable and easily accessible. Bornprettystore has free worldwide shipping and a rewards system for purchases. They are coming from overseas and will take a little longer to your door, however they are definitely worth the wait!!! !